I wonder what the story is behind this one. Did 'Cool Girl' write it? 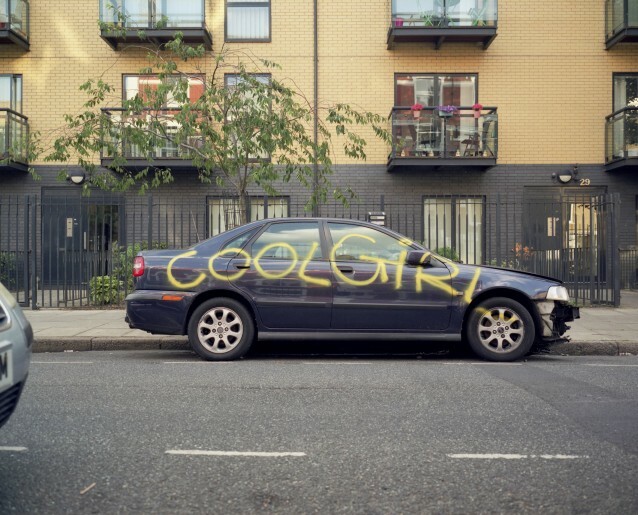 Is it 'Cool Girl''s car? Did the author actually not find 'Cool Girl' so cool at all? We will probably never know... 'Cool Girl', step forward!